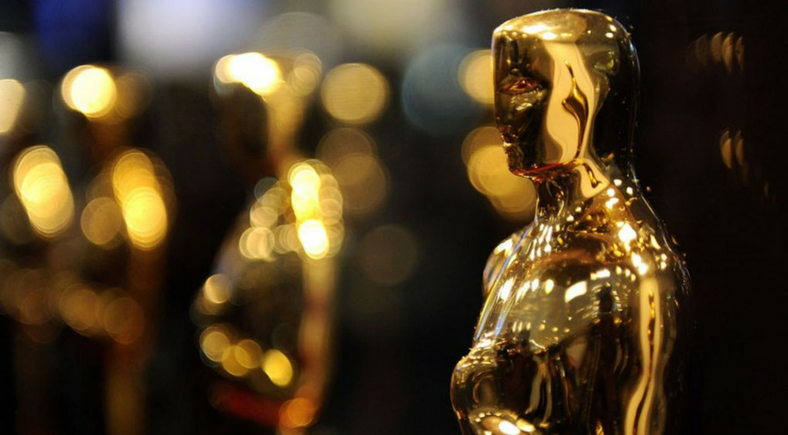 As we approach the annual Academy Awards, viewers speculate what accolades their favorite nominees will take home. From Best Cinematography to Best Costume, there is a lot on the line for the films of 2017, but nothing could be more grandiose than receiving the highly-coveted Best Picture. Nine nominees compete for the award this year. What are they? Which one is more deserving than the rest? Are any of them even worth your time? The answers to these questions will be revealed in our report card for the Best Picture Nominees. When a young African American takes a trip to his white girlfriend’s home, he soon discovers that nothing is as it seems. What was thought to be a normal visit escalates into a nightmare, resulting in horrifying events that viewers won’t believe until they see. For the most part, Get Out is an entertaining experience, filled with wonderful performances and a somewhat fresh story. Jordan Peele’s direction infused comedy with horror in a stylistic approach that garnered weird and outlandish moments sure to stick in viewers’ minds. Where it suffers, however, is predictability and a plot that loses its sizzle towards the final moments. While it certainly is a fun picture to watch unfold, the twists aren’t that shocking and a side arc with a secondary character breaks the story flow more often than not. Three separate stories involving the Allied entrapment in Dunkirk, France come to a head in this epic tale of survival and unity in the face of hopelessness. Christopher Nolan has earned his title as one of the best directors of modern cinema, and with the release of Dunkirk, he retains that pedigree. The score (composed by Hans Zimmer), cinematography, and sound design are immaculate, setting audiences on edge in the heat of this unforgiving battle of survival. Nolan shows off his writing skills and use of time to craft a story that progresses in an unorthodox yet engaging fashion, making for a fun night at the theater. It’s only flaw would be its weak development in character; a choice Nolan made to exemplify the event rather than the fictional people trying to outlast. I would’ve preferred heavy character development. Set in Sacramento in the year 2002, Christine “Lady Bird” McPherson struggles to keep up her spunky spirit through her senior year at a Catholic high school. Amidst the challenges of boyfriends, making good grades, and deciding what to do upon graduation, Lady Bird must also navigate a complicated relationship with her mother, who is equally strong-willed and opinionated. Lady Bird’s strongest aspects are its wonderful cast and witty screenplay. Saoirse Ronan, as the title character, and Laurie Metcalf, as her mother, portray a mother-daughter relationship that is both unique and universal. Lady Bird is her own individual character, but all audiences will be able to relate to her in some way. The film is simple in its execution but complex in its relationships. It’s a hilarious, slice-of-life story about family and the challenges in becoming your own person. Despite occasionally crude elements and humor, Lady Bird offers its characters a chance at redemption, giving the film itself this chance as well. Seven months after the death of her daughter, Mildred purchases three billboards to call out the police chief and his department for not catching the crook. This sets fire to Ebbing, causing controversy and debate that stirs the police into taking action. One of the most promising of the nominees due to its star power, Three Billboards boasts a story with many agendas involving the corruption of the police department and a theme that circles the flawed nature of man. Surprisingly, its outlook on life is depicted through dark humor; McDonagh’s writing style is fresh and peculiar, as the dialogue shared among characters is verbally abusive and vicious, offering a bite to the conflict. The performances are what steal the show, with fantastic entries by Francis McDormand and Sam Rockwell. Unfortunately, amidst all of its pros, Three Billboards suffers from a story without redemption and a view on life that offers almost no resolve (aside from one character). Gary Oldman stars as historical hero Winston Churchill in this inspiring film about the challenges he faced as the Prime Minister of Britain during one of the most daunting periods of history. The film begins with Churchill’s appointment as Prime Minister and follows him over the next several days as he must decide whether to negotiate peace talks with Germany or lead the country against the Nazi regime, all while dealing with an unprepared nation and opposition within his own party. Oldman’s performance is worth every bit of praise it is receiving, as the viewer does not see Oldman at all during the film—only Winston Churchill. This is also due to the fabulous makeup work in the film. Other praiseworthy elements include the cinematography and an extremely well-written screenplay. Darkest Hour is a very heavy film, mirroring the weight which Churchill had to carry as Prime Minister. It illustrates his doubts, his humanity, his unbridled emotions, but also his legendary strength. For while this is a heavy film, it is incredibly powerful, proving how the courage of one man can fuel the courage of an entire nation with words as his most powerful weapon. From visionary filmmaker Guillermo del Toro comes an original story that critics are already calling a masterpiece. The Shape of Water is set in Baltimore, 1962, where a mute cleaning maid for a science lab discovers an aquatic creature being held captive. After befriending the creature, she decides to risk the normality and safety of her life in order to free him. Stylistically, this film is beautiful, with gorgeous production design, lighting, costumes, and music. The acting is commendable across the board with an especially moving performance from Sally Hawkins. Charming, sad, and offering valuable social commentary, The Shape of Water is a modern classic sure to be watched and discussed for years to come. Its only downfalls are unnecessary explicit content and supporting characters whose arcs are not fully developed. When the U.S. government threatens to take any newspaper companies to court over the distribution of classified documents involving the Vietnam War, Kay Graham, first female publisher of the Washington Post, has to make a drastic decision over whether they should go to print with their illegally obtained information. It’s hard not to have fun with a Steven Spielberg film, even if it doesn’t reach new heights like The Post. While the feature astonishes audiences with dazzling performances, beautiful cinematography, and astounding direction (Spielberg doesn’t disappoint), it falls short of being epic solely on its undesirable story. The dialogue was basic and the plot devices predictable; not to say that this is a bad picture – I enjoyed watching it altogether. However, what Spielberg was missing in his latest entry was a tale with teeth. More importantly, one that could leave me thinking after I walk out of the theater. Timothée Chalamet plays the seventeen-year-old Elio, who lives with his parents in the countryside of Italy in 1983. Elio’s father, a professor of archaeology, invites the American student Oliver (Armie Hammer) to live with them for the summer as part of an internship. While exploring the countryside and studying sculptures of the past, Elio and Oliver must navigate the romantic feelings they begin to develop for each other. Despite the controversial nature of this film, the cinematography and the set are beautiful. The acting is strong, as are the film’s beginning and ending. The middle, however, suffers from poor development. Once the two main characters acknowledge their feelings for each other, everything else in the film falls to the wayside. The relationship itself is shallow, and the film glorifies the casual summer fling that it is. It also fails to address the major age gap between the couple. The positive aspects of the film, laudable as they are, are sadly not enough to save it from its problems. Set in 1950’s London, a well-renowned dressmaker has his world turned upside down when his new, strong-willed muse disrupts his routine. Paul Thomas Anderson and Daniel Day-Lewis team up once more for what is Day-Lewis’ last performance before retirement. It’s no surprise that his performance in Phantom Thread was astounding, and the same goes for the rest of this wonderful cast. The characters were developed well, and the writing was magnificent, fleshing out these figures with engaging dialogue that surely captivates an audience from the get-go. For a feature that spans over two hours with only dialogue, the pacing is not slow; there’s a lot to be intrigued by, whether it is the illustrious costuming, location, and cinematography, or the musical score. I would have considered this the Best Picture, however the resolution to the conflict between our two characters was unsatisfying. So much so that it dropped a letter grade. Andrew Corder is a Department Head for The Daily Runner; Harrison Dove-Green is a contributor to The Daily Runner.